Why Should You Hire an Event Coordinator? If you think it’s stressful planning a meeting or any major corporate event, you are right. Meeting planning requires expertise in communications, preparation, management, logistics, marketing and crisis management too. Because, with events, last-minute problems and emergencies happen — all the time. Meeting and Event Planners are militantly organized professionals. They are masters of venue management. They are experts at booking entertainment. They know how to brand and market your event. They are pros at staging your event and ensuring your event’s decor is spectacularly reflective of its theme and mission. In short, professional event coordinators thrive in the stressful storm of event details and logistics. 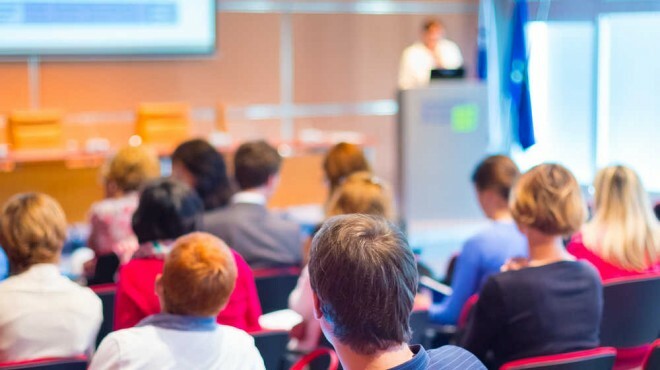 Many times, small businesses will turn the responsibility of planning and orchestrating a conference, seminar, meeting or other major corporate event over to a member of its team. Often a member of the marketing department. While astute at online marketing, content management, email marketing, social media, graphic design and more. These professionals may not have the proper tools and abilities — or time — to handle the torrent of tasks that make up everyday life for today’s event coordinators. Still, over and over again, the duties of structuring, organizing and presenting a major event fall on their desks, like a ton of bricks. Other professionals often tasked with being “event coordinators” in SMB enterprises include office managers, receptionists and even sales professionals. This is a colossal mistake. By bestowing the responsibilities of event coordination onto these other professionals, you are pulling their time, concentration and energy away from performing their own set of important tasks. Plus, you are creating a level of expectation and responsibility that, in all fairness, does not live under the scope of their job description. The result can be stressed out, burned out and resentful employees struggling to accomplish their regular duties in addition to making you proud by pulling off a flawless and successful business event. Ever Consider Hiring an Event Coordinator — a Real One? Don’t be swayed with worry and doubt that hiring an event coordinator is not cost effective or necessary. A professional event coordinator can benefit your planned event in many ways, not least of which is actually delivering the event you have in mind. A professional event coordinator can handle all levels of event management: invitations, venue selection and management, menu details, decorations, attendee appreciation tokens, social media awareness, entertainment booking, event photography and even media relations. So, go easy on your marketing director or office manager and consider these three reasons to hire an outside event coordinator. Why would you leave your event in the hands of someone who is ‘winging it’ as opposed to turning your event planning over to someone with a proven track record in managing corporate events? Do you want to be embarrassed? Events can define businesses and are a direct reflection on business leadership. A professional event coordinator can structure your ideal event — working autonomously in most respects based on your direction, vision, goals and budget. Best yet, they are devoted 100 percent to creating and managing your event. That is their only task. A reputable and established event coordinator knows the pitfalls in event planning. They know how to save dollars by negotiating with venue and catering vendors. They understand why events fail — and they avoid failure at all costs. Professional event coordinators are crisis experts, capable of handling everything from the last-minute decision to hire valet parking to securing backup entertainment in the event the planned entertainer comes down with the flu. With event preparation, it’s just as important to know what to avoid as to know what to initiate. Professional event coordinators are masters of juggling details, people and priorities. They don’t get frazzled. They just go on with the show! Even the most compassionate, devoted employee in the world doesn’t really want to take on the added responsibility of performing their daily tasks and managing a major event for your business. It really is a case of asking too much of an employee. You want your employees to be productive. You want your employees to like their jobs. Do them — and you — a favor and strongly consider bringing in an event coordinator to manage your seminars, conferences, customer appreciation or corporate holiday events. While it’s true event coordinator is one of the most stressful jobs around, at least the professional event coordinators know how to handle the stress — and deliver great events. Lumping that degree of stress onto an individual not equipped to handle it with grace under fire is simply bad for your event — and for your business. CJ is the owner and CEO of Station Avenue Productions, which is an event production firm she has operated for more than 20 years.